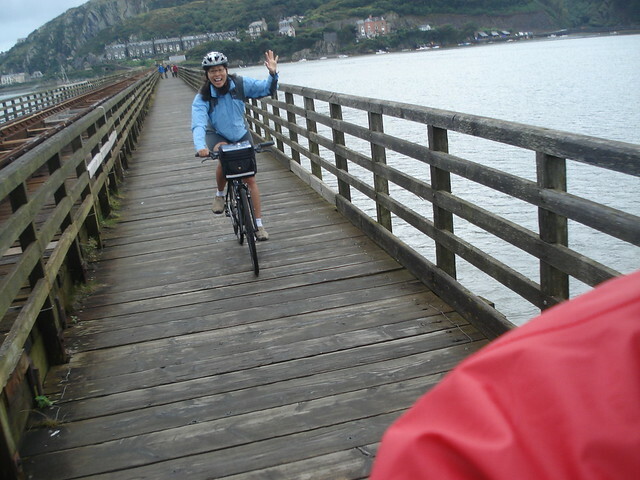 Doreen and I have successfully "slain the dragon" by cycling across the length of Wales. Doreen and I have successfully “slain the dragon” by cycling across the length of Wales. Starting from Holyhead on the Northern Island of Anglesey we followed the “Lon Las Cymru” cycling route to Chepstow on the South Western tip of Wales. 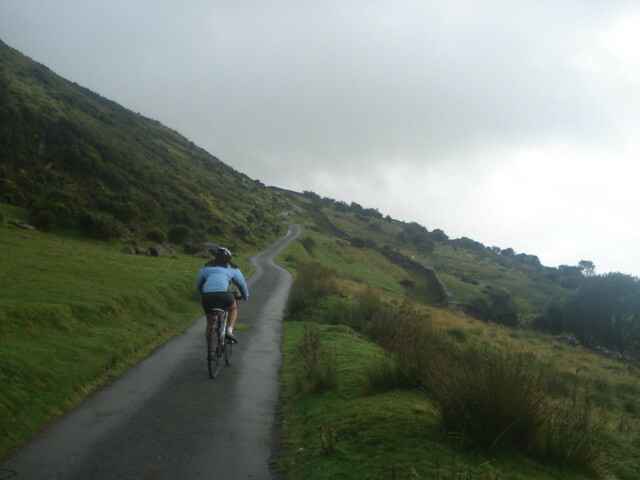 Including a few scenic detours – and occassionally getting lost – over 500 kms and more than 6,000 metres of vertical climb – yes Wales is hilly! 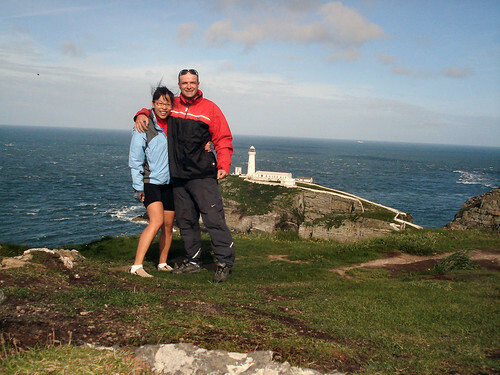 Below: South Stack Lighthouse at the tip of Anglesey Island – the trip begins! We were fortunate to have only a couple days of rain – although Day 2 it POURED! This was a pretty hard tour and on several days Doreen was heroic – climbing some super steeps but spectacular stretches – we bumped into more than our fair share of 20% grade signs. While every day had a distinctive feel, the scenery and routes were always beautiful. Although primarily quiet rural/mountain roads, the route also included visits to several fantastic World Heritage Castles, quaint Welsh villages, and some great seaside views. Yes, deserted – especially up north – fantastic. Just Doreen and I – and several million sheep …..
hahahaha… excellent – now that sounds like a great plan!! 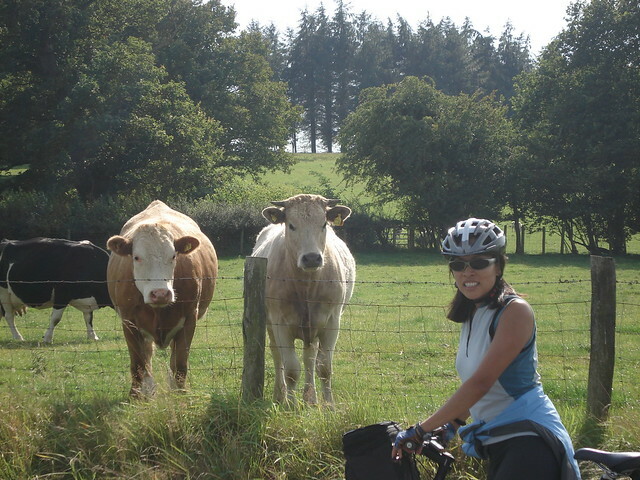 Thanks for the reply and enjoy the many more cycling adventures to come. Looks like a fantastic ride. Inspiring stuff! 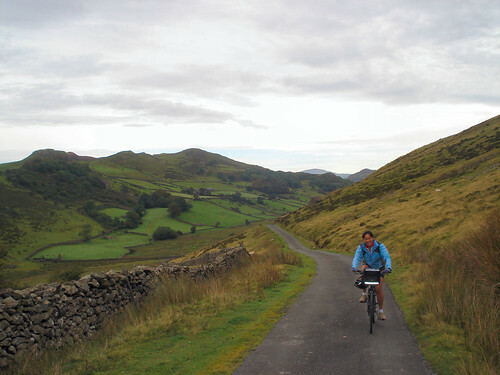 We are looking to do half of the ride in late October – would you recommend the North or South section? Also, did you follow Cycle Route 8? Thanks. Yes, we followed Route 8. Personally, I think the North half was much nicer. More deserted paths, and the coastal stuff is great as is the Mawddach Estuary near Barmouth. And the part near the mountain whose name I forget (Cadair Idris perhaps). It’s worth the detour to the Southstack lighthouse if you are on holyhead.